Pink has scored a 5 Star rating. 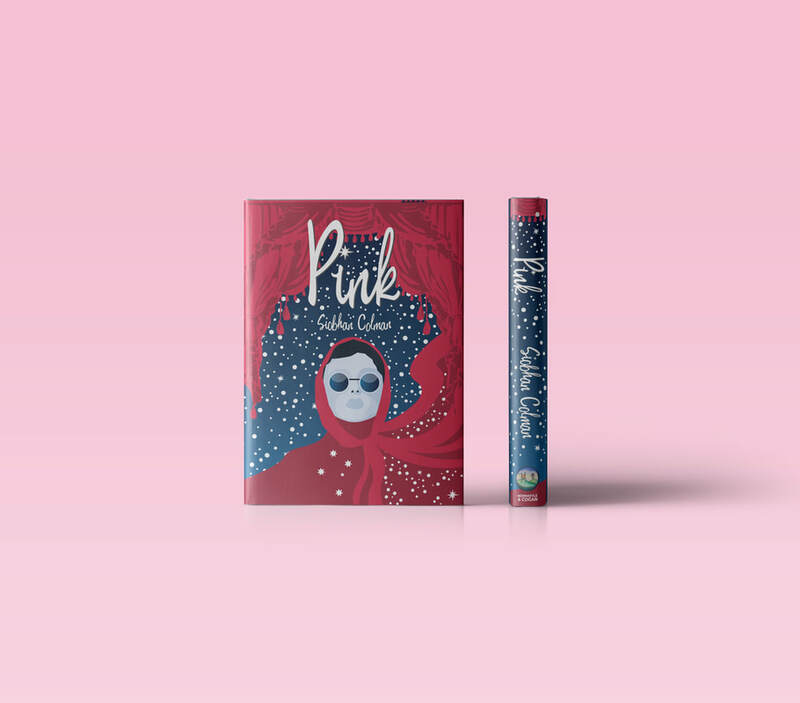 "Pink" is delightful - I thoroughly enjoyed this novel. It is very well written and easy to read. You fall in love with the characters - well, most of them and you never quite know where this story is leading you. A book that makes you want to find out what happens next in the story. And hard to put down once you've started reading. Siobhan Colman has a gift for getting into the minds and hearts of her characters and bringing them to life for the reader. Her characterisation of Pocky, her brother and the painful Marble-Anne are all spot-on, and the mother and Quique are easy to relate to. Colman manages to encourage her readers to embrace people and situations that are outside the norm and to enter a world that is unfamiliar to many of us. Above all, her themes of family in all its forms, acceptance of those who are different and the wisdom, courage and love embodied in the mother are striking, and endure well beyond the last page. It's a great book to read any time day or night, I love it. I hope there is more books to come. I would like to see it in the movies on the big screen. I was lucky enough to get my hands on an early copy of Pink, an unusual story of love and magic under threat. Beautifully crafted, it doesn't fit any ordinary template. I found it easy to warm to the characters who were under siege. The highly filmic unfolding story completely charmed me. There are well embedded lessons to be learned from the story but no need to go looking for them, they will wash over you as you absorb the story. It's a must read. Charming, nostalgic, innocent. Reminiscent of the issues of social justice and humanity explored in "To Kill A Mockingbird" by Harper Lee. We get to know the characters and their motivations and the reader is reminded that all is not as it seems. Young readers will enjoy the quirky nature of the setting and the bonds of friendship and love that can be formed through courage, when our hearts are open. The cover invited me in and the story won me over. It took me back to my childhood and to the dreams I had then. I wish I'd have had an Angelique move in next door to me - coffin and all! Something for everyone, young and old. The book ‘Pink’ is VERY good in my opinion. The story of the adventures of a young girl growing up with her family in the suburbs that leads to a beautiful tale of adventure, mystery, sadness, adversity and friendship. Well written with imaginative and beautiful descriptions, reminiscent of what it was like to be growing up in the 1960’s. A must read. Great for children and adults alike. I gave it 5 stars! ​Pink is the story of a little girl’s discovery of love, family and what it means to be brave. It is 1969 and Pocky is seven years old. Her brother gave her the name because she has The Southern Cross in chicken pock marks on her forehead. She and her brother live with their mother on the flat roof of a suburban house not far from the drive-in. They have no father. Her mother moved the furniture up under the stars to catch the cool summer breezes. She’s not like other mothers. When Angelique moves in next door, all glamorous and mysterious, Pocky doesn’t know what to think. Angelique drives a hearse, owns a coffin and only comes out at night. Marble-anne at school says people like that aren’t people at all. They’re zombies, or witches, or maybe vampires. Angelique doesn’t look like any of those, but Pocky can’t be sure. Angelique is not like anyone the family have ever met. She charms them and, over time, they grow to love her. “Bewitched,” Pocky’s mother says and this makes Pocky wonder if Marble-anne is right. Perhaps Angelique is a witch! But there is a neighbour on the other side of them Pocky fears. Mr Wallace says terrible things about Angelique. And he is beginning to watch the house. Especially the children. They have every reason to be afraid. When Pocky’s mother becomes ill with cancer, the children finally find out where Angelique goes at night. And they find out that not only is Angelique magical, really magical, but that she has come for a reason. Pocky discovers she has magic too. Without Pocky, Angelique cannot save the children’s mother. Or herself. And Pocky is the only one who can save Marble-anne! Available from the publisher Normoyle and Cogan, independent book sellers and on line as an ebook. All books purchased directly from the publisher ensure the highest royalty for the writer. They include free postage within Australia.